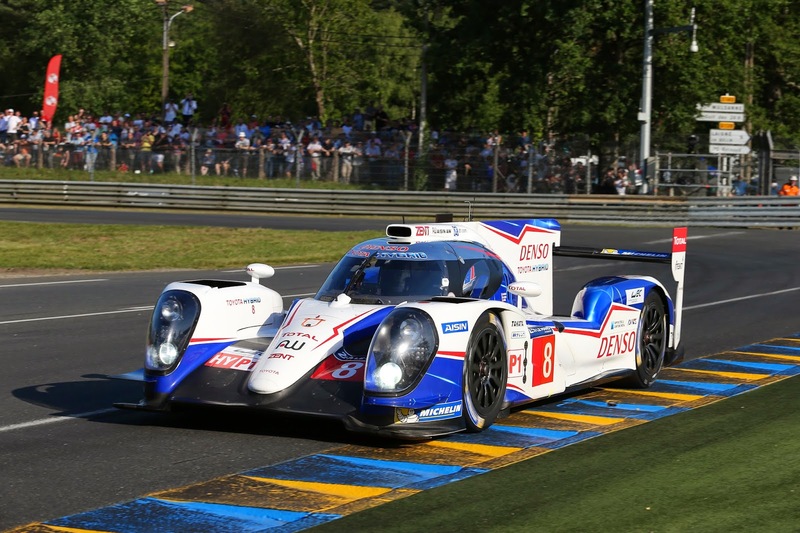 Toyota Racing's Kazuki Nakajima set a new Le Mans qualifying lap record to put the #7 TS040 Hybrid in pole position for the 82nd running of the famous 24-hour endurance race this weekend. It was the first pole position ever for a Japanese driver and lowered last year's pole position time by more than half a second. Nakajima, who shares the #7 car with Alex Wurz and Stéphane Sarrazin, scorched around the 13.629km track in 3 mins 21.789 secs to record Toyota's second pole position at Le Mans. The feat highlighted the performance and efficiency of the 736kW Toyota Hybrid System - Racing which set the fastest qualifying time despite a 25 per cent reduction in fuel consumption compared with last year's car. The #8 car of Anthony Davidson, Nicolas Lapierre and Sébastien Buemi will start Saturday's race from third on the grid. As well as starting from first place on the grid, the TS040 Hybrid enters this year's race with two wins from the opening two FIA World Endurance Championship races. This is the fourth pole position for Sarrazin who achieved the honour in 2007-09 and who has been runner-up three times, including last year. He praised the team for its work in setting up the #7 car and Nakajima for a "brilliant lap". "It is promising for the race because we feel so confident in the car," he said. "We can push on every corner, every lap. Like that everything is positive. The race will be very long, we know that we have to be very calm and not attack it like a short sprint." The 24-hour race begins at 11 p.m. tomorrow AEST.